I’m not sure where Globes got the sales data. The 13-F form is a holdings report, not a transaction report. In other words, institutional investors use the 13-F to report their current holdings at the end of the quarter, not sales. But if you compare the first quarter and second quarter 13-Fs, the endowment management company owned the stocks in question at the end of the first quarter and no longer owned them at the end of the second quarter. 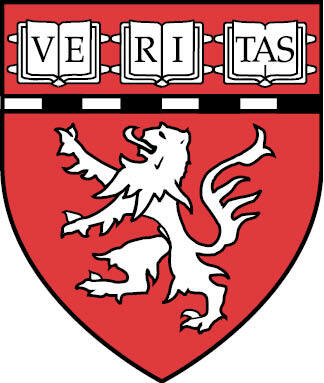 In one sense, Harvard did divest–they dumped all their Israeli stocks. But most people use divest in a more nuanced way; i.e., to intentionally sell and thereafter refrain from investing in stocks of a particular country for political reasons. So the interesting question is why Harvard sold the stocks at issue. Was it coincidence, a purely investment-driven decision, or a surrender to political activists opposed to Israel? Only the latter would count as divestment in my book. If this is right, it assorts oddly with Harvard’s acceptance of large amounts of money from Saudi Arabian sources. Also, what are Harvard’s largest securities holdings? Two ETFs, each worth $295 million, one in Chinese equities and the other in emerging markets. So Israel doesn’t meet Harvard’s moral test, but China does; and it would be interesting to see what countries are included among those emerging markets. There is a pretty clear pattern here–again, assuming that the five nearly-simultaneous sales of shares in Israeli companies were not coincidental. Harvard is happy to do business with oppressors–real oppressors, that is–as long as there is enough money in it. China and Saudi Arabia have, in sheer monetary terms, a lot to offer. But taking a “principled” stand against Israel, still the Middle East’s only democracy (unless you count Iraq, on which the jury is still out) and the only country in the region with a Western human rights sensibility, is cost-free. Sort of like banning military recruiters. On Monday morning, there were several comments and emails providing plausible explanations for Harvard’s sale of their Israeli shares (and apparent purchase of Turkish shares in their place) for reasons that are not political. There are two principle schools of thought. One is that with Israel’s admission into the OECD, we are no longer an emerging market, and therefore the emerging market section of the portfolio had to be reshuffled. The other is that the Israeli stocks in Harvard’s portfolio had performed poorly of late. I actually find the first explanation more plausible than the second. University endowments are long-term investments and would not be likely to be reshuffled solely on the basis of a quarter or two of poor performance. On the other hand, the OECD admission is a recent, verifiable event. One would hope that a statement from Harvard will be forthcoming once the business day starts in the US. But that could be a vain hope. The SEC report on which the Globes article was ostensibly based (which is nothing but a list of Harvard’s current holdings) is here, here and here (an overall document and two subparts). Globes probably put together the list of Israeli shares sold by comparison to last quarter’s report and updating the prices. But that says nothing about why the shares were sold. Look at how far we have sunk. America’s once leading institution for higher learning pimps for jihad. We knew that these institutions like Harvard, Georgetown, etc., would unashamedly dance on demand when those Saudi 20 million dollar gifts began rolling in. Middle Eastern Studies departments are hotbeds of radicalism. Jewish students are persecute, harassed and physically threatened on these campuses. If these institutions of higher learning get federal taxpayers dollars, is this not against the law? It’s one thing when jihadist frenemies violate the Arab boycott of Israel. We expect that from these players, they lie and are incapable of being honest merchants. When Saudi Arabia joined the World Trade Organization, they promised to end their participation in the Arab boycott of Israel, but they have not done so. But this is Harvard. It is wrong, outrageous, that these tools of the stealth jihad are supported by your taxpayer dollars and private endowments (many from Jewish families). The whole moral structure is disintegrating before our very eyes. These whorehouses do not deserve one thin dime from public or Jewish coffers. This is getting very ugly. I expect Tariq Ramadan will be offered the Edward Said chair at Columbia in no short order. I find it hard to believe that the country’s oldest university would take such a step at all, much less without a full discussion and consultation with the broader university community. This would be a very big story if it is in fact correct, so look for MSM to follow up tomorrow. Certainly thousands of alums will react with extraordinarily negative consequences for the university, so President Drew Gilpin Faust should move quickly to answer all questions about the concern. I read on the Atlantic Wire earlier today that Harvard’s endowment had quietly dumped its investments in Israeli companies. Several bloggers had already picked up on the story, following a report in an Israeli newspaper. This seemed strange to me (for, among other reasons, the simple fact that there is no divestment campaign targeting Harvard at the moment) so I contacted Harvard. I was told that the university was not divesting itself of Israeli companies; quite the opposite, it was moving its Israeli investments out of a developing-market fund to another fund focused on more advanced economies. An hour later, Harvard issued a statement saying the same thing. So the question is: Why didn’t anyone simply pick up the phone and call Harvard’s public relations office and find out exactly what was happening before posting, and repeating, what turned out to be pure speculation?